Wooldridge has provided road sweeping services on various projects at Heathrow Airport since 2000. The construction services company was selected because of its previous experience and solid track record. 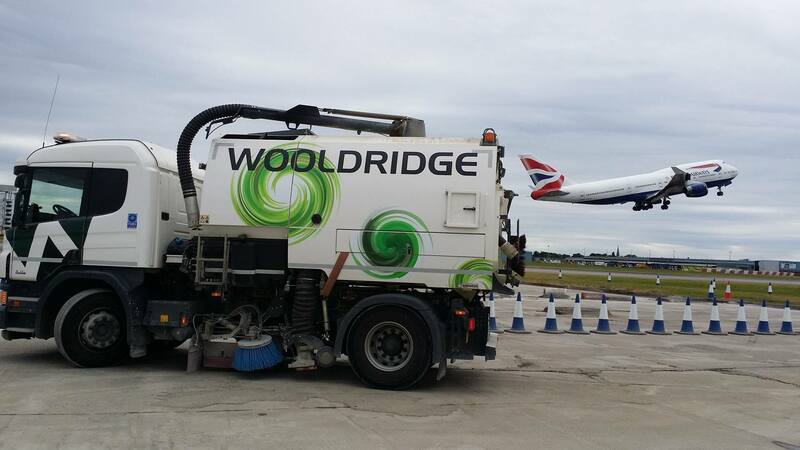 Wooldridge’s services have involved civil and air side road sweeping for the runways, taxi ways and baggage tunnels across the whole airport site. Using security-cleared operators and the latest plant, it cleared and maintained the northern and southern runways as they were extended and the taxi ways as they were reinforced in preparation for new, heavier types of planes. During the Terminal 5 build, Wooldridge’s services extended to the construction site, all service roads and taxi ways. The road sweepers collect general day-to-day waste, dust and debris generated at the airport. Wooldridge provides 24 hour cover at the baggage tunnel from terminal 5 to terminal 4.